We are excited about Daily Painter's and the fantastic artwork being produced. 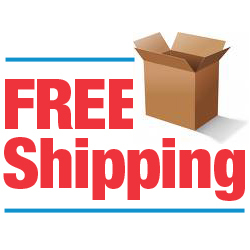 Our goal is to provide you quality custom frames at the best prices with FREE SHIPPING on every order. We have been providing quality custom framing to artists since 1987. We have been specializing in two techniques of framing your small artwork that you have completed on wood panels, canvas panels or masonite panels. The two methods to frame your small artwork is Panel "Edge to Edge" or Panel "Floater" Frames. They are explained to the right. All of our frames are custom cut and assembled including black mounting board, dust cover and hangers. This provides a very convenient way to keep an inventory of daily painter frames or take a selection to shows. As you sell your artwork the customer can choose a frame. We recommend silicone to attach your artwork to the frame. This provides a secure mounting method with the flexibility of removing one piece of artwork and replacing it with another piece. Currently we have Black, Gold, Silver, Wood Tones and Panel Floater Frames available. We will be adding over 50 new styles to our website over the next few weeks. Please check back often as we add new styles of frames for daily painters . We look forward to partnering with you in the presentation of your artwork. Call or e-mail us for quality custom frames, the best prices and unsurpassed customer service. We are currently using our parent company toll free number 1-800-322-5899 ext.6 until we have a dedicated number set up. You can e-mail us at info@dailypaintersframes.com. Your artwork is mounted on the black mounting board that is pre-installed in the frame. The artwork will load in the front of the frame and fit from inside frame lip to inside frame lip. The method will expose every bit of the artwork. ( approx. 1/8" ) black float space between the artwork edge and the inside lip of the panel floater frame. This gives the illusion that the artwork is floating in the floater frame. The black border pops the artwork in the floater frame and emphasizes the artwork in the presentation. On Every Item Every Day! e-mail us with your address and requested items.